R.B. Hinkle underground utility contractors are skilled in safety and technology. 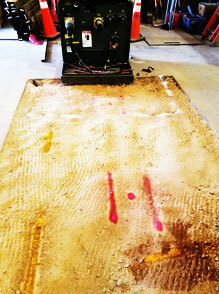 On-site utility pit training with the McLaughlin Verifier G2 Utility Locator ensures zero damage. Safety training at RB Hinkle Underground Infrastructure Contractor Services is getting high-tech. And a little dusty. Zero underground utility damage is a way of life for this PLH Group Company, and to prove it, Safety Director Ed DeNeale is sending new employees to the ‘pit’. R.B. Hinkle’s stringent, three-day new hire orientation has always focused on safety excellence, but now employees are heading to a training pit to learn how to use the McLaughlin Verifier G2 utility locator (see video here), a hand-held device that helps triple check for any pesky, hidden underground utility lines. During new-hire training, OSHA topics are covered and discussed then the Miss Utility Excavator Safety, Virginia’s Requirements and Best Practices for trenchless excavation and Red’s 5 Steps to Safer Digging videos are shown to the field-fresh employees. After gaining an understanding of what is required, employees are introduced to a 3 foot deep, by 22 foot long, by 7 feet wide, dirt-filled pit constructed at R.B. Hinkle’s home base in Sterling, VA. 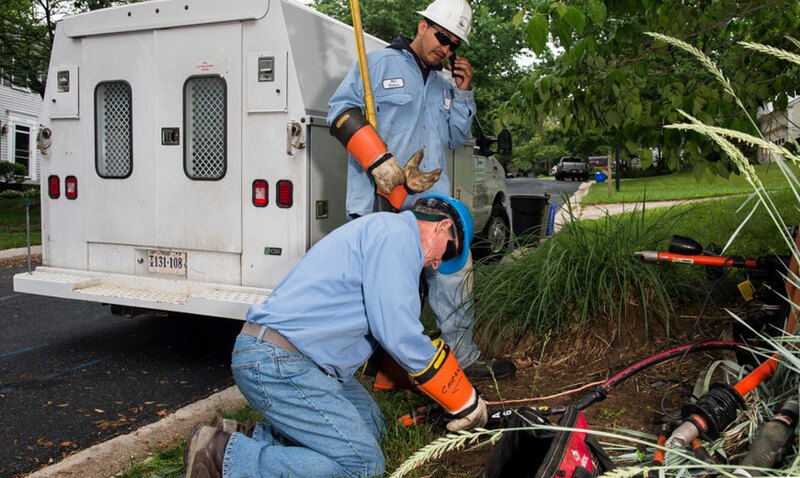 It contains an installed piece of Pepco Primary cable, 3 inch conduit, 2 inch gas main and a ¾ inch gas riser to a meter. “This training pit allows us to perform real life, hands-on training on safe digging practices, line locating and allows us to test and train during poor weather days,” remarks DeNeale. In conjunction with the smart-tech GPS enabled G2 utility locator (which consists of a receiver and frequency transmitter) and a top-rated Safety Excellence Program, training in the virtual pit means R.B. Hinkle maintains compliance with Virginia, Maryland and District of Columbia state and federal standards along with an EMR well below the industry average. The innovative new-hire training ‘pit’ at the RB Hinkle home-base features an installed piece of Pepco Primary cable, 3 inch conduit, 2 inch gas main and a ¾ inch gas riser to a meter.